Our friends across the pond have a hot take on everyone's favorite Designated Player. The greatest contribution Frank Lampard can make to New York City FC is to leave. And leave as soon as possible. It would be his parting gift - a chance for the MLS side to bring in a Designated Player who could actually make a meaningful difference to the team. For Lampard has made virtually no difference in his troubled, injury-plagued spell at the club. And, having not played a single minute this season, with manager Patrick Vieira unsure when he will make his return, the 37-year-old midfielder is highly unlikely to make any real difference this campaign. Updated worst signings in MLS history: 1) Frank Lampard, 2) Rafa Marquez. New York City simply do not need Lampard. They are overloaded with midfielders in their poorly-constructed squad and require a striker to ease the burden on the ever frustrated David Villa or a top quality centre-half. 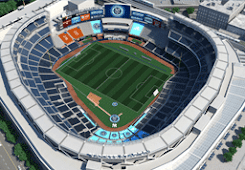 Due to MLS regulations, the only way New York City can do this is for Lampard - who earns a princely $6 million a year - to leave, even retire, to free up an international Designated Player slot. And many New York City fans would be more than happy to see him go. They have never taken to Lampard ever since he extended his 'loan spell' at parent club Manchester City (in fact he was never on loan) instead of moving to the Big Apple, as expected, on Jan 1, 2015. As NYCFC struggled at the beginning of their debut campaign, Lampard sat on the Man City bench week-in, week-out. It made for uncomfortable viewing and increased frustration in New York. "We're the same family. I was asked from the top to stay on in Manchester. … I'm not trying to wipe my hands of it because I'm a man, I make my decisions. 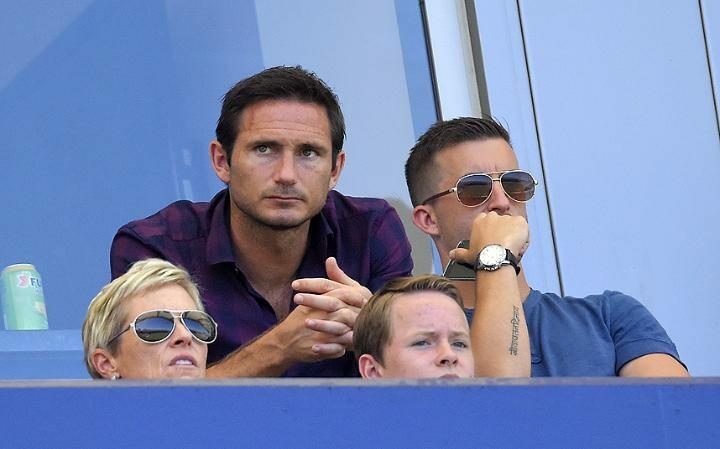 But it kind of felt right at the time to carry on playing," Lampard said by way of explanation to reporters after he finally arrived, following a holiday with his then fiancee in Dubai. "I did get frustrated in January, February, March, because a footballer wants to play games; I'm not going to lie. … It wasn’t easy because things were being said like I tried to pull the wool over peoples' eyes. It certainly wasn’t that from my point of view: I was just trying to play good football." Lampard's much-heralded arrival in New York only raised tensions further after he injured a calf in practice while trying to get back up to speed, further delaying his debut. In the end, Lampard played just 10 games last season, scoring three goals, as New York City failed to make the play-offs, leading to the sacking of head coach Jason Kreis. No one was more frustrated than Lampard himself over his inability to make a telling contribution last season. "[It's been] very frustrating," he told ESPN FC. "I'm a terrible injured person anyway. I've always found it difficult to be away from the team. You don't feel like you're part of it. You train separately, you have treatments on your own, and more than anything you want to take part in match day, which you have to sit out. That's been hard. "I've certainly enjoyed outside of the pitch. Moving over here, the city has been great to me. The only thing that's been missing is being able to play and hopefully help us win games." Lampard is not helping, though, which is why he should go - for the good of the cause. Of course, this is not the way Lampard would want to end his career and New York City will give him every chance to get back to fitness and play for the team. This does not help NYCFC's chances of reaching the play-offs, however - a seeming prerequisite for Vieira. Lampard is one of the 10 greatest players in Premier League history. He is also the worst signing in Major League Soccer history. MLS aficionados may argue that the likes Lothar Matthäus or Rafael Márquez were worse, but for all the grief his transfer caused and his complete lack of impact on it, Lampard has to go down as the biggest bust of them all. It's time for New York City to put him out of his misery. Can't deny that the Manchester City deal was infuriating, we've talked about that enough. But I think reporters continue to mis-read the fanbase. Yes, Lampard has struggled with supporters. But the vast majority of the fans appear to stand behind him. We should be careful not to let the few very vocal fans speak for most. If Lampard can stay healthy, I think he's shown he has much to contribute. Here's to hoping that he gets the chance.